This perfumed body cream is enriched with shea butter and coconut oil known for their nourishing properties. Creamy and non-greasy, it moisturizes instantly and leaves the skin delicately scented. A perfect match for our Kate eau de toilette! 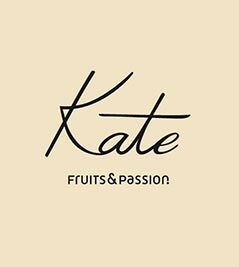 Unique and warm, Kate combines fruity accents with subtle woody scents. As fresh and sunny as a summer breeze, this fragrance combines fruity notes with subtle hints of jasmine and musk. Formula enriched with coconut oil and shea butter.